This book, every bit as amazing as its predecessor—if not more so—takes a slightly different thematic and narrative focus whilst maintaining many of the elements that made the first book such a standout. An absolutely wonderful piece of speculative fiction. Yes indeed, Ms. Littlefield does it again! In this sequel to the amazing Aftertime (read my review of Aftertime here), a fascinating premise and excellent narrative execution is built upon and expanded. This book is certainly not its predecessor, taking a different tone and focus but absolutely shining in every aspect. This is one of those books for which you’ll not want to know many details going into the story. As such, describing the book is very difficult, since it’s so heavily centered around one major occurrence. The themes around which the plot revolves include abandonment and revenge; to know who’s experiencing or partaking in these activities might be considered a spoiler. So, I’ll stick with the general bits: we’re back to following Cass Dollar from book one, and as before, we’re treated to an in-depth look at her experiences and inner turmoil. But in addition to that, there’s much more focus on others in the cast; in fact, there are several narrative shifts between characters. This is not as much Cass’s book as it is her loved ones’…which is fine, considering it seems as though the series is shifting toward a broader, more epic scope as it goes on. I love it when a storyteller can draw out the most intense, realistic, and honest emotion from fantastical situations or unfamiliar settings. Littlefield does just that and more. Her characters are raw. True. Loved, as evidenced by the care taken in crafting them. There is no simple “angst” but rather a complex assessment of human behaviors and emotions in the face of devastating loss and destruction, of a drastic redefinition of society itself. Even as the dark reality of certain situations makes you want to look away, the story compels you to continue. It’s the very definition of “darkly enchanting.” Survival is never a given in this world, nor are tidy resolutions. But the thread of hope maintains, leaving the reader to really want to follow the cast through the hardest moments. Reading this book has only further solidified by affection and excitement for this trilogy. 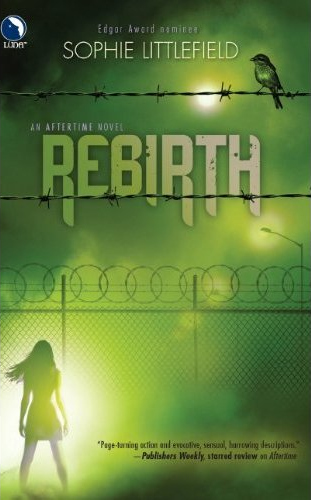 Even if I read the third and final book (to be released early 2012) and decide I don’t like it (highly doubt I would, but for the sake of argument), I’ll always hold Rebirth and its predecessor Aftertime as some of my favorite books of all time. This is the most active read of the "currently reading" bunch. It's tough to put down, with its frequent introduction of twists and reveals. I'm still not sold on Barrons, though (I know, I'm probably all by myself in that sentiment ^_^)...he's still mostly just an asshat, to me. So far, this is actually a great book. Moves rather slowly, though...so I've been "sneaking" in another book between every few chapters of this one. ^_^ Angel is a riot. And I love the concept. And the cover of the book? I'm still trying to find it poster-sized! This is definitely one steamy read. As a romantica title, it's doing a decent job of infusing sweet charm with the spice. That said, I'm hoping there'll be more focus on the main mystery as the story progress. I really like Ms. Moondi's sense of humor. She's self-deprecating and affable. I can't say that I'd mused on the featured topics before beginning this book, but having now read some of her thoughts on them, I completely agree. ^_^ I dig a book that makes me want to sit down with the author for a chat. This is a lengthy book, and it seems to be a "love it or hate it" type deal. As it stands, I'm not a big fan of the hero and heroine. But the overall plot arc is rather neat...epic in scope. Whatcha reading at the moment? Lovin' it (or leavin' it)? Ah, summertime. It’s the season of a thousand vacations, whether near or far. At the very least, it’s a time to take walks, have picnics, and generally spend more time outdoors. For an avid reader—or for those who enjoy reading but typically don’t have the time to partake in the activity—this is the perfect opportunity to pick up a book or two (or three, or thirty) to pass some of the time in the warmer, more pleasant weather. I myself have just returned from a vacation, one that was all too short but afforded plenty of time to read uninterrupted. And on that note…thank goodness for e-book readers! If nothing else, they’ve completely changed the way I’m able to travel. Because the thing is, I don’t just travel with a book. As a voracious (though somewhat slow) reader and a highly indecisive individual, I simply must have a number of books on hand when on holiday; if I don’t, I just end up making a side-trip to the nearest book store to pick up a few titles. Inevitably, this means that a sizable chunk of my baggage is taken up by reading materials. An e-reader makes the same tendencies much less of a hassle; on this last vacation, for instance, I had my Kindle in my bag at all times and was able to read several books. In the past, I’ve noticed that I read mostly light, fun, and irreverent books during summer: chick lit, humorous nonfiction, movie magazines, and so forth. Many people talk about how their preferences for entertainment (movies, sports, cuisine, etc.) change with the warmed weather. Perhaps, just as many blockbuster movies are released over summer, the ideal time for lighter book releases is during this season? What about you?? 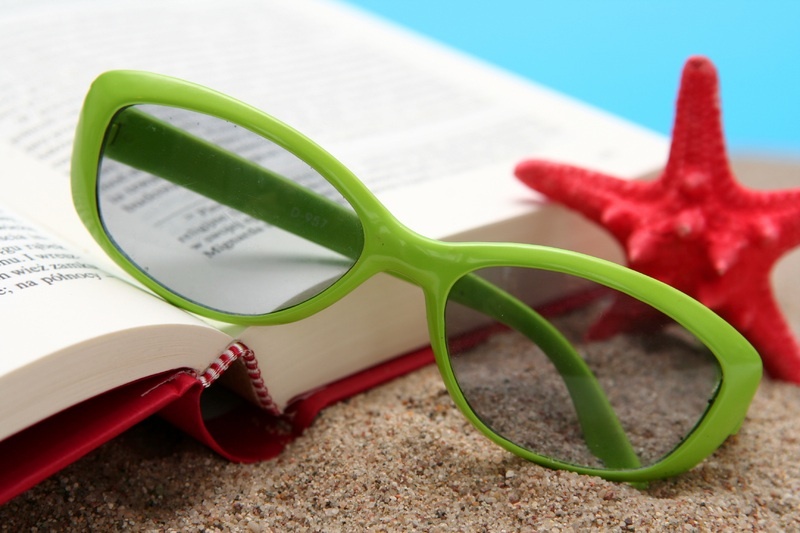 Do your reading habits change during summer, either in the volume or selection of books you read? An intriguing premise and sizzling sensuality factor make this book worth taking a look at. I was underwhelmed, however, by some of the structural aspects as well as by some of the characterizations. Amara Simmons has always fantasized about having two lovers but believes it is just that: a fantasy. She likes her men “gifted”, if you know what I mean. At the suggestion of a friend she registers for an online dating website for well-endowed men called betterthan8.com. She believes nothing will come of her site membership but after months of flirting online via email and instant messaging, she’s shocked to discover that she’s fallen for a gorgeous Latin man that has the potential to be her everything – except he never calls and she has no idea why. Nursing a broken heart she is totally unprepared to meet her would-be Latin lover in person much less at the negotiation table of a multi million-dollar real estate deal. In Puerto Rico, passion ignites. Promises are finally fulfilled and the lines of reality blur when her fantasy finally blooms to life. Can Amara have it all: the deal, the man, and the fantasy? This tale (and series) has a very intriguing premise. What's interesting is not simply the occurrence of online dating, but the nature of the online dating; here, it's closely and unabashedly tied to sexuality as well as romance. There were certainly some absolutely fabulous and addictive plot "bombs" that were dropped; on a couple of occasions I had to shout, "Oh, dayum!" Those are always fun. Likewise, the sexiness factor was way up there; I particularly liked how there was real steaminess between two people residing far apart, people who've never having met before. Bravo to that. ^_^ And lastly, protagonist Amara's band of girlfriends are a hoot; scenes with the lot of them together are easily highlights. I can't lie, though: there were some aspects of the novella that were underwhelming. One issue concerned the overall direction of the plot: in short, I felt there was not much cohesiveness to the story. Taken as a series of interconnected vignettes, the progression (or flow) of events works better, or is at least less jarring. Guess what, though? I plan on reading the next book in the series (forthcoming). The author's explanation of the 8 planned books mentions that each of the stories cover various aspects of digital dating. Sounds intriguing, no? I'm quite interested in seeing how everything is tied together as well as how the other "topics" are approached. 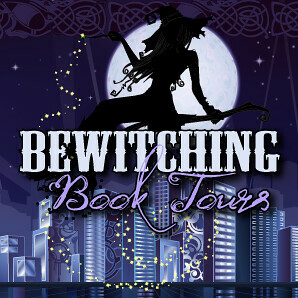 Today's review is part of the Bewitching Book Tours ongoing tour for Better Than 8: Fantasy. For more info on the other participating blogs and their tour stops, visit BBT's site (here). Dulcie does it again! This installment delivered on every promise made by its predecessor; it was above all fun, engaging, and charming. Dulcie O’Neil is a fairy working in law enforcement for the Netherworld. When Knight Vander approaches her with a case regarding comatose victims, she agrees to help him, imagining the most difficult part will be combatting her attraction to him. But, what Dulcie isn’t betting on is the fact that the case becomes personal when she learns all the victims are somehow linked to her. When her best friend falls victim to the Dreamstalker, Dulcie must do everything in her power to ensure her friend’s survival, including associating with criminals and accepting the fact that desperate times do definitely call for desperate measures. I was so excited to pick up and read the second book in the Dulcie O'Neil series by H.P. Mallory, having enjoyed the first one so much. As with book one, the cast is the big draw. Technically, there aren't that many figures to keep track of--which is fine by me. It means more face time for the fab five (Dulcie, Knight, Trey, Sam, and Dia). ^_^ Dulcie in particular is in fine form: she's a magnetic character, with different facets to her personality that provide plausible and engaging expression in scenes both light hearted and somber. I get the sense that the author is deliberately keeping a steady pace in revealing her fictional world and in progressing the broader story arcs. I like that! I can see the series continuing to thrill with new elements and twists, even several books down the road (and geez, I HOPE there will be a "several books down the road" to speak of!). 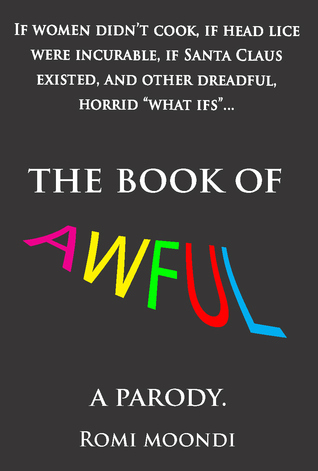 This book deals with a creature that stalks and terrorizes people's dreams. As such, there are a few dream sequences, some of which are meant to be ambiguously identified ("Is this someone's dream?") and others which are very clearly nocturnal reveries. In one, the dreamer is even consciously observing her own dream. The devices used for these sequences could've been confusing as flip, but instead worked out wonderfully and intriguingly. Honestly, the third book cannot come soon enough ("soon enough" is August 2011, by the way...but still so far off!!! ); I simply must know how the cast of characters develop and fare in their respective conundrums. A Tale of Two Goblins more than proved that the Dulcie O'Neil series will be one to look out for in the future. Moreover, it's put Ms. Mallory on my auto-buy list, for sure! Later, Cameron learned that her visit to his bedchamber was part of some female intrigue against him, the kind his late wife used to practice. Ainsley protested her innocence, but Cameron’s anger made him never want to see her again. 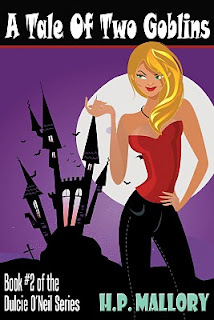 Now she’s back, at another houseparty—and Cameron finds the gray-eyed minx in his bedchamber, again. Her excuses are just as ingenuous, but this time Cameron is determined to teach her a lesson. They have unfinished business, Cameron tells her. He asks her how many of her many buttons she’ll let him unclasp, promising that before the houseparty is over, she’ll be asking him to undo them all. Ainsley’s dismay is real. She’s on a mission to prevent embarrassment to Queen Victoria, and time is running out. Though the needs he’d stirred long ago during her unhappy marriage rise again, she knows it would be foolish to fall for love-them-and-leave-them Cameron Mackenzie. But he asks her a question that challenges her beliefs about love and happiness, and she finds herself risking all to be with the black sheep of the Mackenzie family. Oh yes, Cameron's got many sins, alright. There was an excerpt of the book at the end of Lady Isabella's Scandalous Marriage, and though I typically avoid reading such tidbits (for the untenable eagerness they induce), I had to know what was in store for the next mackenzie. The opening scene was gripping, and I was unsurprisingly begging for more. Thank goodness book three will be released soon; really, August cannot come fast enough! But until then, there's the wealth of information available on Jennifer Ashley's website: the author has an entire section dedicated to the Mackenzie clan, one that includes a family tree, character biographies, and book release information. That all comes in handy, given the complex histories that each of the Mackenzie brothers has endured. Jennifer Ashley's book, The Many Sins of Lord Cameron, (Highland Pleasures, #3) will be released on August 2 by Berkley Sensation. 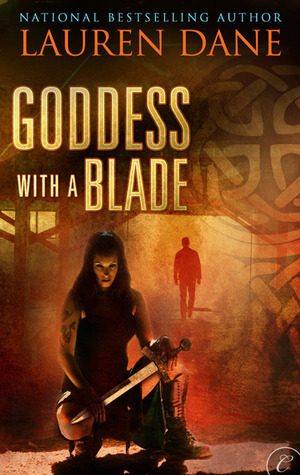 A decent urban fantasy tale. It has a little bit of everything (though for me, no one aspect stood out more than the rest), and sets up a very intriguing world with intrigue and considerable future potential. Protagonist Rowan is a moddy sonovagun, but she's a badass and nice carrier for the complex tale. Book Description (via Goodreads): Rowan Summerwaite is no ordinary woman. Physical vessel to the Celtic Goddess Brigid and raised by the leader of the Vampire Nation, she's a supercharged hunter with the power to slay any vampire who violates the age-old treaty. Oh, but this book was a tough one to write about; such is often the case with books that I liked but didn't elicit reaction to any extreme. So I'll just jump right in, beginning with the protagonist(s). Rowan Summerwaite is a badass/smartass with an amusing potty mouth. She is certainly unforgiving and uncompromising with her behavior, making her quite memorable, for better or for worse. Clive, the male protag, was quite intriguing, and I wish there were more development of his character. It's through interactions with him that Rowan really shows her emotional struggles; the meaty, interesting stuff. My take is that the romance is not the first or even second priority in this book (even though it features perspective shifts between Rowan and Clive). But trust, it's there, in all its's sizzling glory. ^_^ The hero and heroine have a lust/hate relationship that's nothing if not fun to watch develop. I found the last act (read: the ending) to be quite tensionless; the climax of the story was, in fact, fairly anti-climactic. What's more, the writing in the section felt different from what preceded it, with the dialogue a bit overrun with "badassisms" and the visuals lacking a certain flow and vividness. In general, the book was decent in every way. 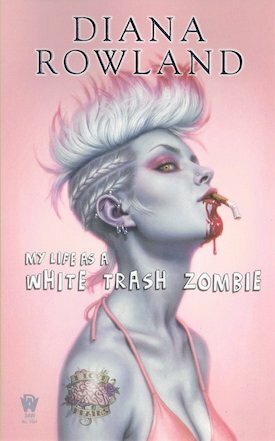 Decent characters, decent storyline, decent This particular sentiment is the height of subjectivity; I fully expect several others I know to read the book and find it very enjoyable. But for me, it just didn't ring any particular bells. All told, however, I'm intrigued enough to want to check out the next book. A bit of research has turned up that, while there is no follow-up officially in the works, the author would indeed like to produce a sequel. The book certainly felt like it was intended to be a sequel; certain aspects of world- and character building were not rounded out, suggesting later development. I think Rowan's adventures--and more importantly, her personal development--could be really intriguing in future installments...and so, here's to hoping this book turns out to be the first in a series! So, I'm not usually one to look at book trailers. My think has been, if I'm looking to read a book, why would I want to watch something that could alter what my imagination might've come up with--the very reason why I'm very wary of watching book-to-film adaptations before having read the source books. But on a lark, I decided to watch the book trailer for Sophie Littlefield's Aftertime series; specifically, for the second book, entitled Rebirth. And indeed, it is a big bundle of awesomeness. Check it out below. Note: It looks like Ms. Littlefield is holding a contest along with the trailer's release, so feel free to check out the deets on her blog post.